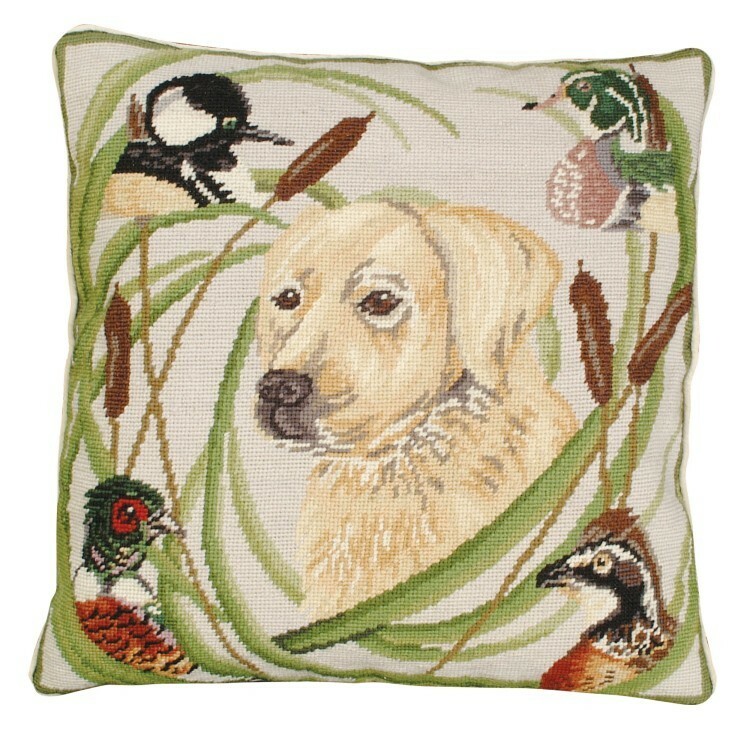 The Sporting Yellow Lab Pillow features a favorite breed of Dog. She is historical and beautiful, with her deep golden coat. 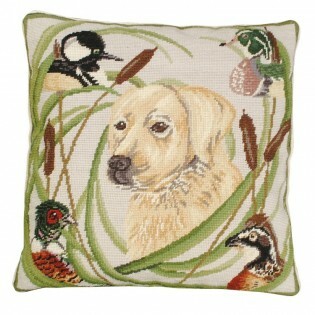 A Yellow Labs lovely profile sits upon a cream field surrounded by sporting ducks and grass and is outlined in a green band.